Our cool knives for sale at wholesale prices for our customers. Tactical knife for sale here at KnifeImport.com at low wholesale knife price. Our tactical knives are sold all across the United States at premium retail price. Here we are selling our cool knives at wholesale prices for our customers. We stand behind our best knife quality. This cool knife is spring assisted opening action pocket knife with an overall open length of 8.35 inches. The blade is partial serrated with a legal 3.5 inch length. 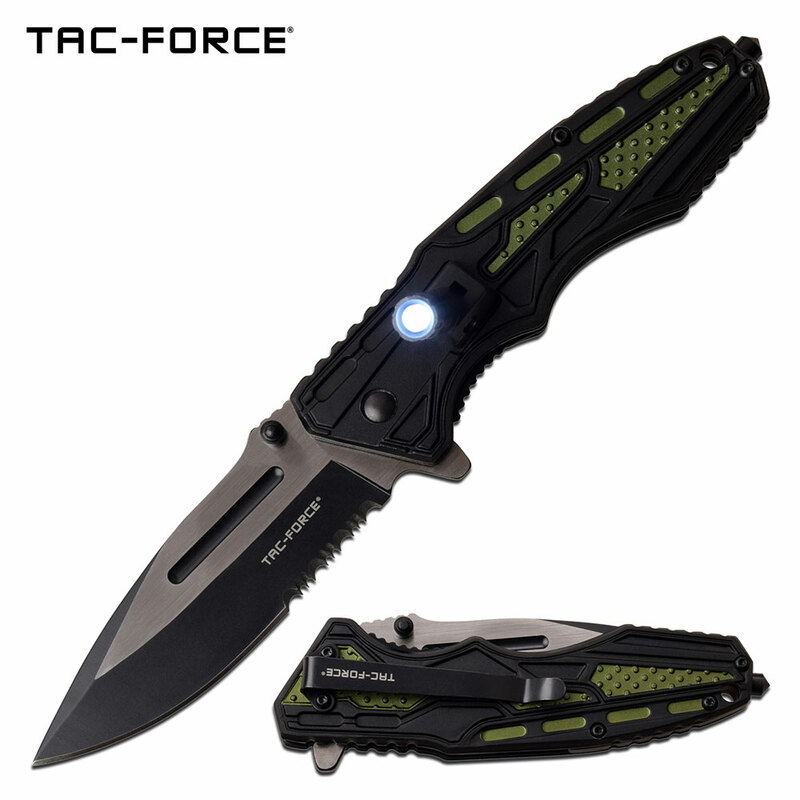 Handle is tactical knife design with glass breaker and LED light on it.